Buma/Stemra has introduced an adjusted exception system for the exploitation of copyrights – the so-called opt-out system. Copyright owners will be offered – in addition to the already existing opportunities for greater flexible management – more distinct options when it comes to managing their copyrights. With the implementation of the opt-out system, Buma/Stemra anticipates the requirements of the European Copyright Directive on collective rights management, which was adopted earlier this year. When members or affiliates want to take advantage of the opportunities the opt-out system offers to withdraw rights from Buma/Stemra’s collective management, this can be done on an annual bases subject to at least three months’ notice – before October 1, 2014. New members can immediately make use of the possibility to exclude rights from the collective management in the previously mentioned categories. Only the rights covered by the selected categories can be excluded. Exclusion is not allowed for individual works (titles) or users. It is also possible to register again for previously excluded rights at a later stage. It is impossible to forsee all the practical implications of the opt-out system except for a few specific cases. Buma/Stemra will regularly keep you informed on all developments. An individual author will not lose the right to vote due to the exclusion of their copyrights in one or more categories. It remains mandatory to comply with the already existing terms of the voting right. Besides this, the copyright owner does not contribute to their pension concerning the excluded rights from Buma/Stemra’s management. Also, the results of the excluded rights will not be included in the annual reviews compiled by Buma/Stemra. Additional income will have to be individually managed, for example in a tax return. At the same time the opt-out system provides the music author the freedom to flexibily manage their rights. In the online domain, for example, it is possible to deploy work according to one’s own view, based on individual choices. Naturally, the copyright owner will have to manage certain aspects independently after excluding their rights.This can involve the negotiations regarding the desired remuneration for uses, monitoring of use, control and collection of revenues. Buma/Stemra will ensure that an independent survey will be carried out on the effects of flexible management on both copyright owners and consumers. The outcome of this survey will be presented at a later date. Currently, consideration is being given to the choice of the most suitable research agency and the main objective of the survey. It is expected that the survey will be completed by the end of 2014 or early 2015, after which the results will be published. A calculator will be developed to provide copyright owners and potential members with a clear understanding of the implications of transferring all or part of their rights to Buma/Stemra. This calculator will be based on different user profiles which represent different types of copyright owners. 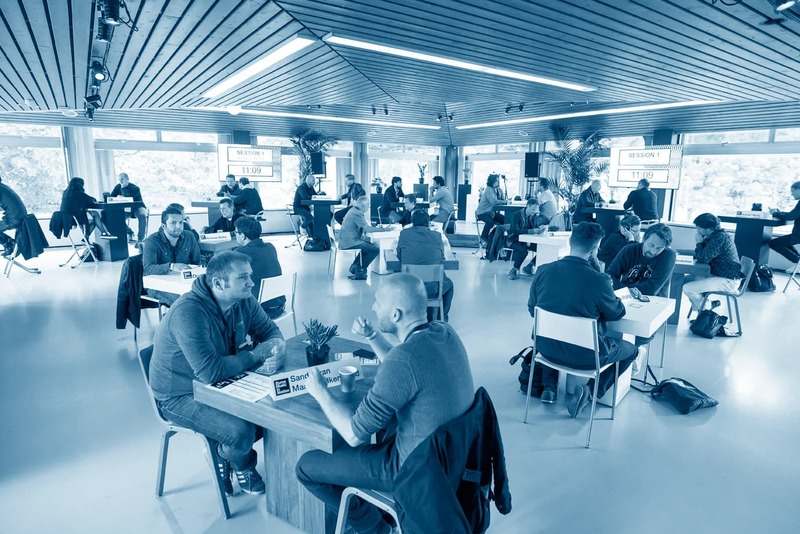 Buma/Stemra will facilitate a knowledge platform for start-ups giving them the opportunity to meet relevant players in the market in face-to-face meetings. Buma/Stemra will invite start-ups and relevant market players, such as search engines, potential investors and copyright owners, to participate. Furthermore, Buma/Stemra will promote the services of the participating start-ups through the Buma/Stemra website and social media. A symposium will be organized during Eurosonic Noorderslag 2015. The themes of the symposium are flexible management and innovation. Within these themes various topics will be covered, such as technological innovation and the connection with copyright, new revenue models for innovative services and music authors and alternative flexible rights management in the online market. There will be an active collaboration with partners in the online domain. The aim is to provide more insight into the possibilities of flexible management, the opportunities this creates for both participants and start-ups and online music platforms. New initiatives will also be presented during this symposium. Copyright owners can contact the Member Service Department if more specific information is required.